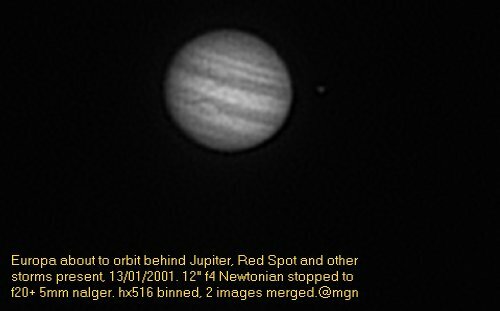 An early image.Two images merged of jupiter, clearly showing the GRS and other storms.13/01/2001. 12" f4 stopped down to f20 , and 2 x 0.1 sec exposures binned. 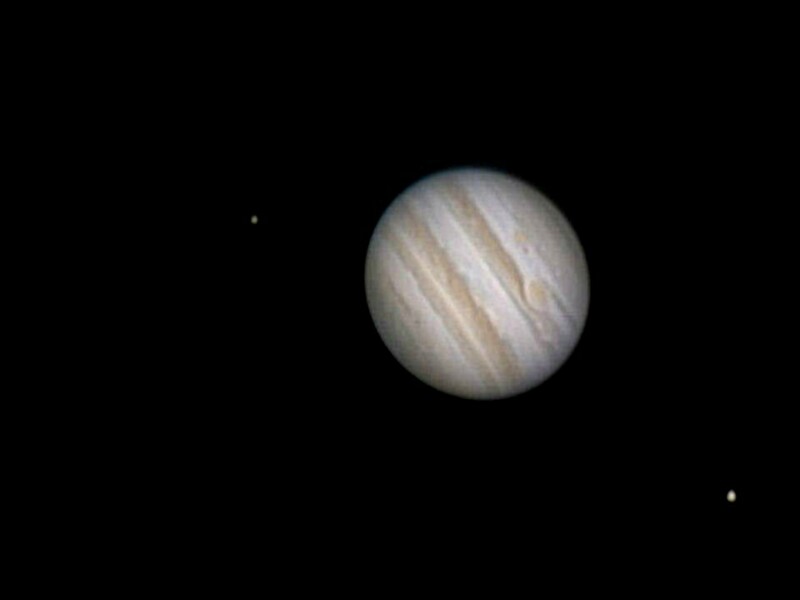 Jupiter has an orbital period of around 10 hours. 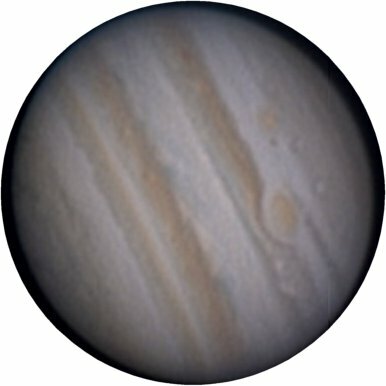 This causes a huge equatorial bulge, and if you take a circular cut of the image you can clearly see this. 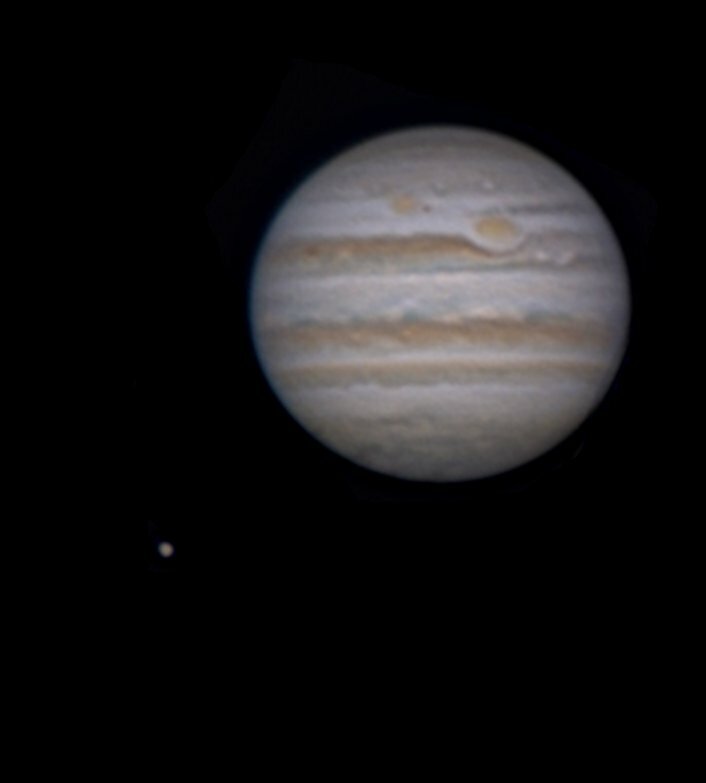 Jupiter , with Callisto on the left ( going behind ) and Ganymede on the right about to pass in front of Jupiter. Taken with a Philips toucam webcam , the best 940 shots out of 1100 stacked in Registax,an Intes Micro MN86 and a 4 x barlow lens.